Suspended in time over the turquoise waters and white sands of Porthmeor beach you’ll find St Ives School of Painting. The row of buildings that house the school are steeped in history. You may already know of the Porthmeor Studios as a creative sanctuary for the colony of artists drawn to the shimmering light of St Ives over the past century, and that previous tenants here have included Patrick Heron, Ben Nicholson and Sir Francis Bacon. 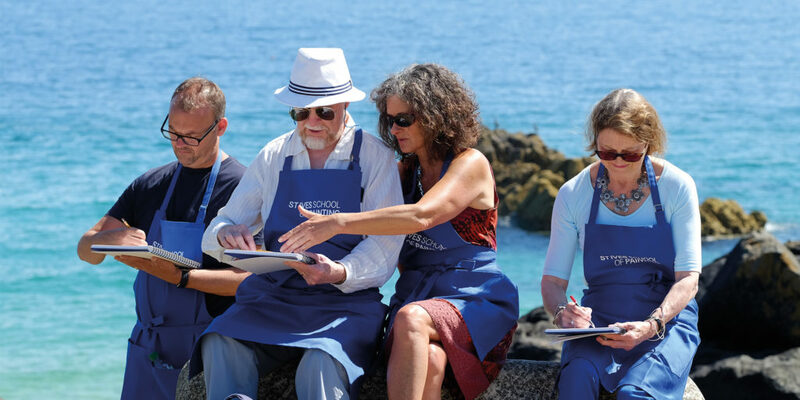 What you may not know is that, nestled above the studios and the salty cellars, where fishermen still mend their nets, sits a friendly community that has given both locals and visitors from across the country a space in which to learn and create for the past 80 years. 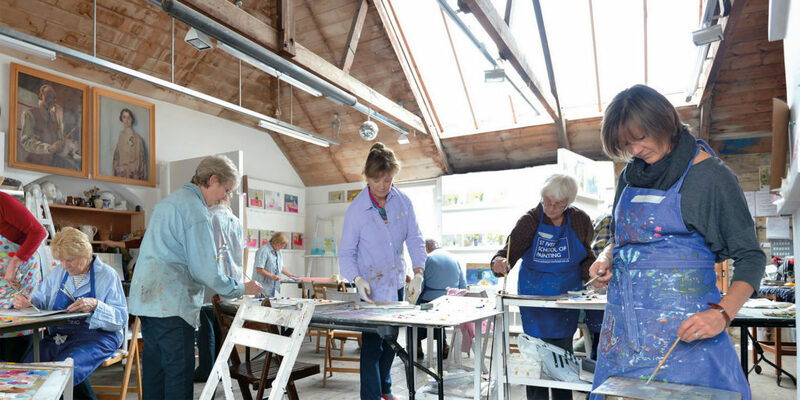 With a team of professional tutors and a view that has inspired generations, St Ives School of Painting is a welcoming hub of inspiration for anyone looking to awaken their creativity; the perfect escape from everyday life, allowing you to focus on nothing but the art of making. 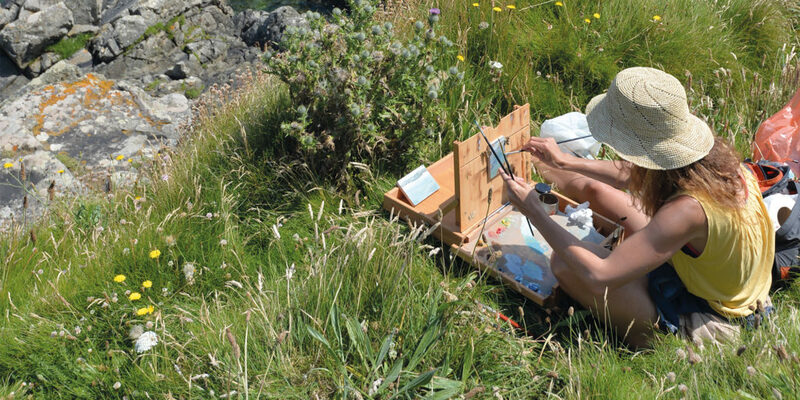 The school offers a wealth of possibilities, with over a hundred short courses throughout the year with inspiring titles such as Ocean and Abstraction, Discover Painting, Expressive Watercolour and Contemporary Landscape. All the materials are provided too, so you needn’t bring anything with you. Beginners are always welcome and with small class sizes, there’s plenty of one-to-one time with your tutor, meaning you can progress at your own pace. To tap into your creative side and take part in one of the school’s workshops or classes, be sure to give the team a call! Don’t miss the school’s Life Drawing classes, which run from 7.30pm until 9.30pm, all year round. There are two more sessions on a Saturday from 10am until 12.30pm, and 1.30pm until 4pm. "a friendly community that has given both locals and visitors from across the country a space in which to learn and create for the past 80 years"